Broken Age is a significant game to the gaming industry for several reasons. 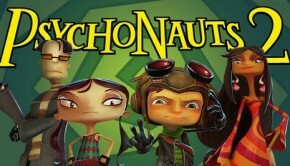 It marks Tim Schafer’s first return to the adventure game genre since the critically acclaimed Grim Fandango, released in 1998. 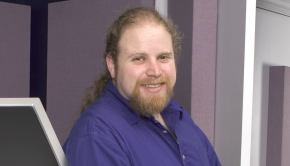 The genre has long been considered commercially niche, and funding for the project would have been hard to come by from the publishers, according to Schafer. Instead, Schafer launched a Kickstarter campaign for Broken Age and set the goal at $400,000. Amazingly, the goal was reached in 9 hours and the funding surpassed $1 million within 24 hours. Ultimately the project amassed $3.3 million from over 87,000 backers in about a month’s time. The immense success of Broken Age triggered what the Kickstarter dubbed the “Blockbuster Effects”, bringing in more backers and attracting more gaming projects to the crowdfunding platform. 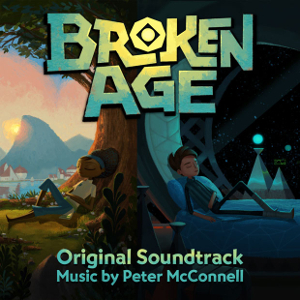 The Broken Age Original Soundtrack is composed by Peter McConnell, longtime collaborator of Schafer and also the composer of Grim Fandango. 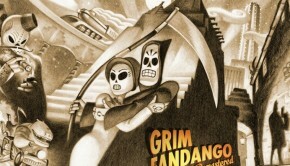 As the game was planned to be released in two acts separately, the incomplete soundtrack with only Act 1’s music was released earlier in January 2014. The complete soundtrack, which is the subject of this review, with additional tracks from Act 2 was not released until April 2015. Let us now take a look at the score that McConnell had created for the whimsical world of Broken Age. To make the musical sound for Broken Age as lively as possible, McConnell opted for a live score recorded by the Melbourne Symphony Orchestra and a small ensemble of San Francisco musicians. Broken Age follows the story of two teenagers, Vella and Shay, who inhabits two completely different worlds. Vella comes from a rustic village surrounded by lush nature whereas Shay stays on a spaceship controlled by supercomputers, and the contrast of the environments is reflected in the music as well. The soundtrack opens with “Vella Wakes”, a track that begins with a mandolin playing a sparse melody above an open chord sustained by the violins, evoking the image of a gradual sunrise. Woodwinds and strings would join in eventually, carrying short melodic phrases with notable pauses between them, as if signifying Vella’s drowsy state as she wavers between waking up and continue napping. “March in the Clouds” begins with bouncy notes played by the harp, followed by a bold and confident entrance by violins, forming an interesting contrast with the gentle tone of a harp. One can imagine the violins performing the action of marching on the clouds, signified by the fluffy timbre of the harp. “Face the Cupcakes” is a minimalistic track permeated by muted tone colors by instruments such as a harp, woodwinds and strings (with a fair amount of pizzicato). The subdued timbre seems to suggest Vella’s hesitation in fulfilling her role as a sacrifice to the monster Mog Chothra during her cupcakes-filled send-off feast prepared by her family. Frantic figures are repeated by brass and strings in “Battle at Shellmound” to elicit tensions during the climactic showdown between Vella and Mog Chothra at the end of Act 1. Midway through the track, the trumpet emerges with a threatening melody prominently, as if heralding an imminent attack by Mog Chothra. In the titular theme of the monster, “Mog Chothra”, cascading phrases and chromatic passages are played by strings to build up the intensity of the piece. 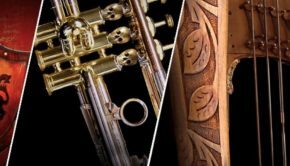 To express the ominous undertone of a sacrificial ceremony disguised as a celebratory feast, sharp dissonance between a booming bassline and ringing short melodic phrases by woodwinds and the celeste is utilized in “Maidens’ Feast”. “Cloud Colony Arrival” uses rapid cascading figures and an uplifting melody to induce the thrill of flying through the sky in a scene as Vella is gliding through the clouds on the back of a giant bird after escaping from Mog Chothra. In “Welcome to Merriloft”, the theme of a village built on clouds, a gentle melodic line and lots of soft tones from instruments such as bells, a harp, and a flute are used to depict the gossamer texture of the clouds. “Dropping In” is an animated piece with a progression that sounds like the narrative of a children’s story book, separated into several sections with different tonal and emotional colors. A brief track that utilizes both an electronic guitar and a guitar, “The Lumberjack’s Cabin” is influenced by the sound of the Old West. Sharing the same stylistic influence as the “The Lumberjack’s Cabin”, “Was That East or West” features two guitar parts, one carrying the melody while the other plays rhythmic passages, to portray the wilderness that the lumberjack’s cabin is located at. Switching to Shay’s space adventure, “Hero” features a robust theme with a rhythmic bassline driven by the brass. “Time to Get Up Little Spaceman”, a track that plays in the spaceship inhabited by Shay and the supercomputers, surrounds the melodic line with lots of of resonating celeste sounds to create a sense of buoyancy often associated with the life in space. In “Vella’s Mission”, plenty of staccato sounds as well as short melodic phrases are used to evoke the stealthy mood of a secret mission. The varied timbre performed with different techniques by the flute in this piece is particularly noteworthy. A track that plays at a hidden base in which Shay meets with the mysterious wolf Marek, “In the Situation Room” subtly swings the melodic line in a jazzy style and makes use of the sounds of muffled bells to create a furtive vibe. Similarly, “Operation Dandelion” also features a slightly jazzy melody performed by the clarinet with minimal accompaniment by a violin and bells to evoke an auditory vision of light-footed actions. “Hello Space” is an atmospheric piece that starts with a heralding motif by the brass before the focus is shifted onto a constant low-pitched bassline and echoing tones in a high register, which combined to produce an imagery of a vast desolate space. Minor-keyed melodic figures are carried by the brass in “Marek and the Thrushmaster” to imply a sense of evil before the track ends with the motif that can be heard at the start of “Hello Space”. Yet another piece that shares the opening motif of “Hello Space”, “The Factory Explosion” begins with a tremolo line by violins before the explosive entrance of a brass-dominated section. In “Let’s Build a Bomb”, melodic figures are built around a series of C notes repeated by a harp throughout the piece, resulting in a slightly tense atmosphere with a driven concentration elicited by the repetition of a single note. “Rising Sun” starts with individual brass tones, which eventually come together to form bombastic dissonant chords that seems to forebode ill omens. Bells are used in several pieces to paint the image of a starry space. Arpeggio passages are performed by bells in the first part of “At the Bridge” before the track transitions into a cello part played in pizzicato for a more subdued sound. Similarly, arpeggio figures by the bells can also be heard in “Out on the Hull” accompanied by a repeating pattern played by violins. “New Worlds” begins with ominous tones sustained by strings and resolves with a chord struck by a mandolin, representing a shift in both the mood and the timbre. Note that the four-note motif that opens “Hero” can be heard in the middle of the track. Two other recurring motifs can be heard in the “Maloruna Rises”; the curious figure from the opening of “Vella Wakes” and the ominous notes that opens “Hello Space” are both present in this short track. “Marek Revealed” shares the same melody as “In the Situation Room”, the track that plays in the room where Marek is based at, but the jazzy sound of the track heard earlier is replaced with a much more menacing sound in “Marek Revealed” as an implication of Marek’s true nature. “Shay in Shellmound” features a quirky combination of a guitar bassline and repeating dissonant figures performed by flutes, expressing the curiosity of Shay in a completely new place. “At the Gate” is a brass-heavy track that gradually builds up its intensity towards the end. In “The Final Battle”, one can hear the track progress from an alarming start to a triumphant victory and ends with a chiming epilogue. Closing the soundtrack, “Shellmound Festival” is a festive piece with a cheerful and lively sound as one would expect from the title. Peter McConnell had composed a memorable soundtrack for the charming world of Broken Age. It is apparent that McConnell had painstakingly constructed a score that could paint vivid imageries in the listener’s mind, and his composition was brought to life through the admirable performances of the Melbourne Symphony Orchestra and the ensemble from San Francisco. I have had a thrilling journey listening to the Broken Age Original Soundtrack and the colorful timbre of this imaginative score will surely stay with me for a long time to come. Posted on May 4, 2015 by KT Wong. Last modified on July 23, 2015.